Yaya Toure was robbed rightfully lost his chance at a fifth consecutive African Player of the year to Borussia Dortmund striker Aubameyang. This isn’t the first time Yaya’s been pissed off about 2015. If the judgement was based on having a traditional hairstyle and dress Toure would’ve had it in the bag. It’s not an issue of contention, really, the numbers don’t lie: Aubameyang pulled in 41 goals and 11 assists for club and country in 2015, while Toure only managed 7 goals for club and country through 2015. Toure would have been the first player to win the award 5 times consecutively. “It’s sad to see Africa react this way, that they don’t think African achievements are important. 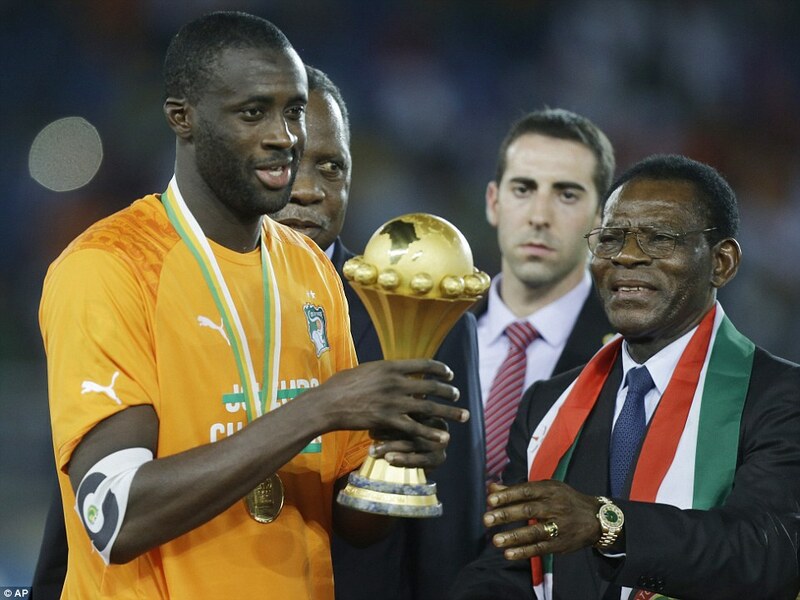 Toure believes he’s been shunned and unrecognized for his captaincy of the Ivory Coast which saw them take their first trophy in the Africa Cup of Nations since 1992. Yaya with the African Cup of Nations in 2015. “Yaya will take care of Yaya and let Africa take care of itself,” he added. It’s clear that Yaya hasn’t had someone able to reign in his ego in years. Suggesting that Africa should be ashamed for picking the outright winner rather than the player with all the prestige maintains the integrity of the award. If Toure would’ve won the award for his captaincy of a cup winning team and name alone that’s what would have been the real shame.